Fill in your details below and we will let you know within 24 hours if we can get Shuffle Go: My Little Pony to you with haste! 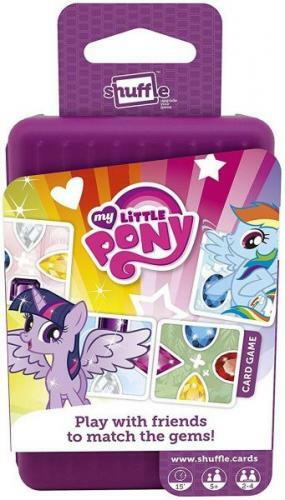 Match your ponies’ gem cards to the ones on the table to create whole gems for Princess Celestia. Double the fun with this free app. Tap the screen when Celestia appears to add gems to your score.